Removal of burrs with some form of media (aggregates) in a tumbling barrel. 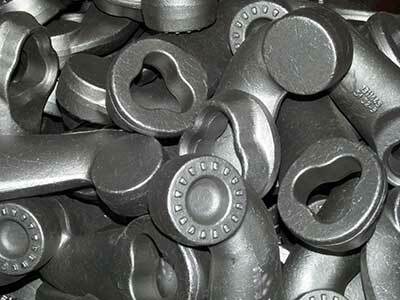 This process is good for large volume deburring or parts that need aggressive deburring over a period of time. General, all-purpose removal of burrs in media. We feature several forms of interchangeable equipment for this. Equipment used is based on volume and degree of burr. No deburring is involved here, just removal of oils or grease. Removal of heat-treated scale on steel parts. Specialized form of deburring that removes burrs, but also provides a bright, shiny, polished finish for parts having a cosmetic spec. In some cases, polishing specs can be avoided at a much lower cost through burnishing. Removal of burrs or scale through an air-blasted system using glass as the aggregate. Removal of burrs or scale through an air-blasted system using steel grit or shot. This is the most aggressive way to remove burrs. Especially good for hardened parts. No deburring occurs, just removal of grease or oils through a conveyor-belt washing system. We can also dry parts using this method. We can remove all of these through various forms of deburring. Check with us to find out the best method! Mainly meant for small parts, this allows us to deburr up to 5 times faster than regular methods of deburring using centrifugal force. This process is great for putting a radius on parts or for very aggressive deburring. Bulk packaging is included free of charge with your order. We have several contracts with common carriers to ship your orders if you do not have a truck. We do not charge extra for drop-shipping to your client or next operation! We do provide same-day service, if time allows, for a nominal fee. Please visit our Additional Fee Schedule for rates on Expediting, Shipping and any Specialty Packaging. To surpass our customer's expectations through consistent on-time delivery, competitive pricing and meeting customer requirements. In 1999, Milwaukee Deburring was the first pre-plate metal finisher in Wisconsin to become ISO certified. 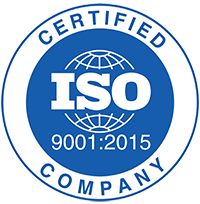 Since then we have continued with high quality with the ISO 9001:2015 compliance revision. In Wisconsin, Milwaukee Deburring processed over 19.6 million parts in 2017, turning 95.6% of orders in 48 hours or less. Call Milwaukee Deburring to learn more about our metal finishing services. 6533 N. Teutonia, Milwaukee, WI 53209 | Copyright 2013. All Rights Reserved.